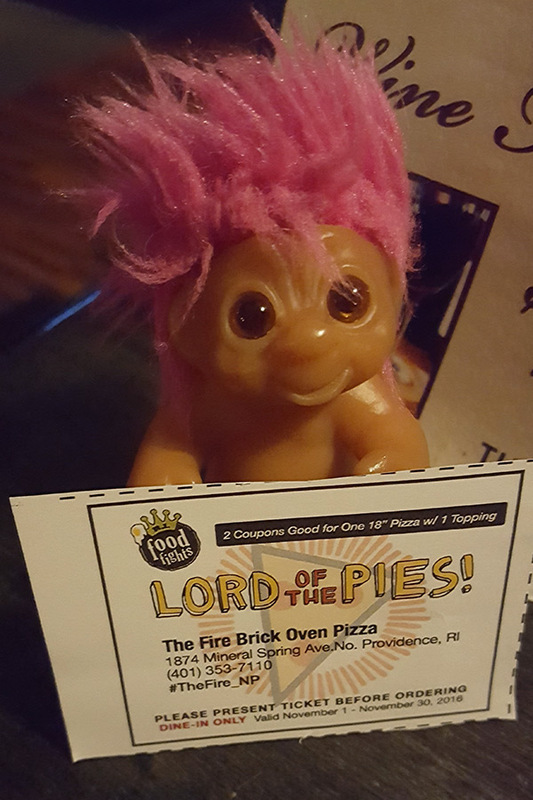 It’s November, which means we’re participating yet again in Rhode Island Food Fights‘ annual Lord of the Pies event. Which means my little dude was armed with enough coupons to treat us and our friend Dan to pizza at The Fire in North Providence. 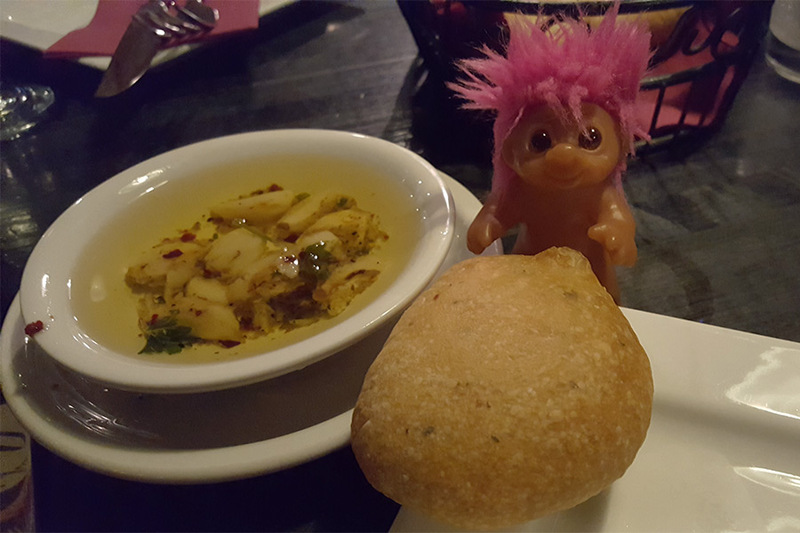 “Why are jokes about bread so funny?” Moonie asked our server as she brought him some rolls and garlic-infused olive oil. “‘Cause they never get MOLD! Get it? Mold?” he hooted. “What do bakers give to ladies on special occasions?” he asked. “Er, what?” she asked, looking around the room. “FLOURS!” Moonie shouted, but our server was backing away. She suddenly had another table to take care of. 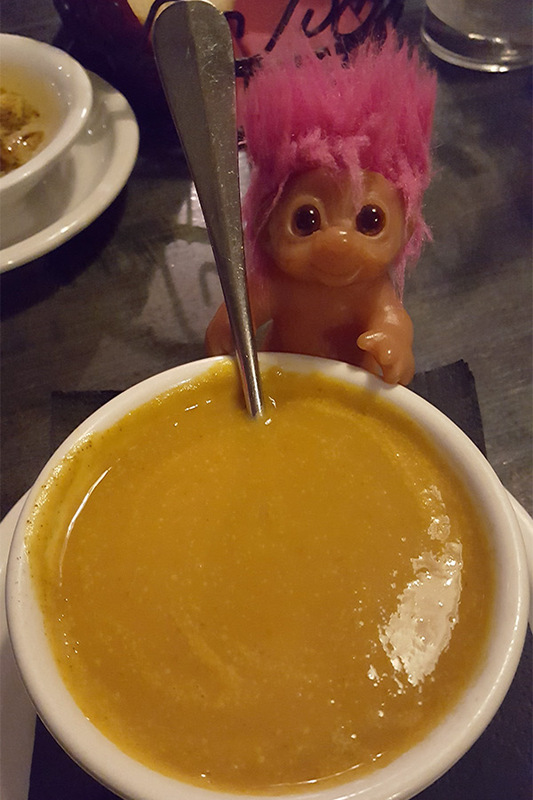 Undeterred, Moonie dug into his pumpkin soup. “When is a pumpkin not a pumpkin?” he asked me and Dan. “When you drop it; then it’s a SQUASH!” Moonie shouted in glee. 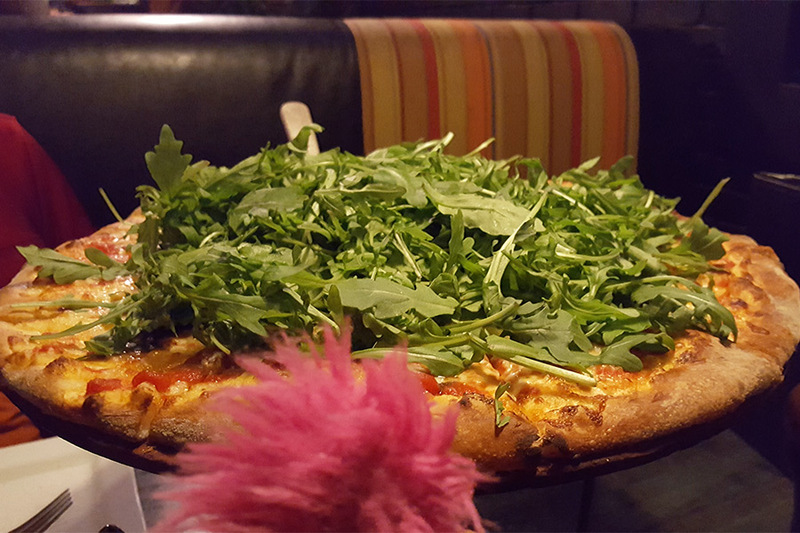 Then Moonie ordered a pizza topped with arugula. “LOTS of arugula,” he ordered. “Lots and lots?” she asked, taking notes. “And then some,” he said. And that’s exactly what Moonie got – lots and lots of arugula, and then some. We’d never seen so much arugula on a pizza. “Whoa!” Moonie shouted before digging in. 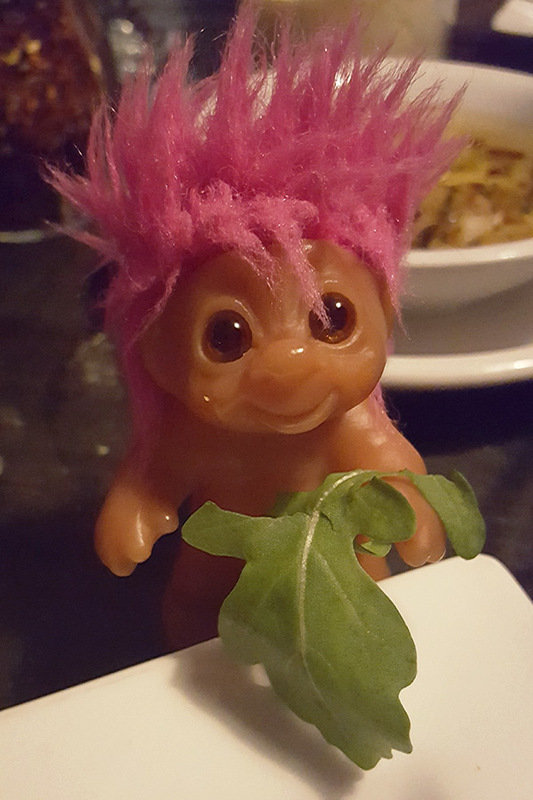 Moonie tried to tell us jokes about greens as he munched on his lots-of-arugula pizza. “What vegetables do sailors hate?” he asked. “What?” Dan and I asked, trying to sneak a slice of pizza before it was all in Moonie’s tummy. “LEEKS!” he shouted, hooting and spitting arugula everywhere. “Why did the tomato blush?” he asked. Again he laughed himself silly. Well, it was still yummy.